Continuing to roll out its 40th-anniversary projects, Riccardi recently revealed a collaboration with mastermind JAPAN and Doublet. The commemorative release brings together streetwear legend Masaaki Homma and LVMH Prize winner Masayuki Ino to create a special range that touches on their respective design sensibilities. 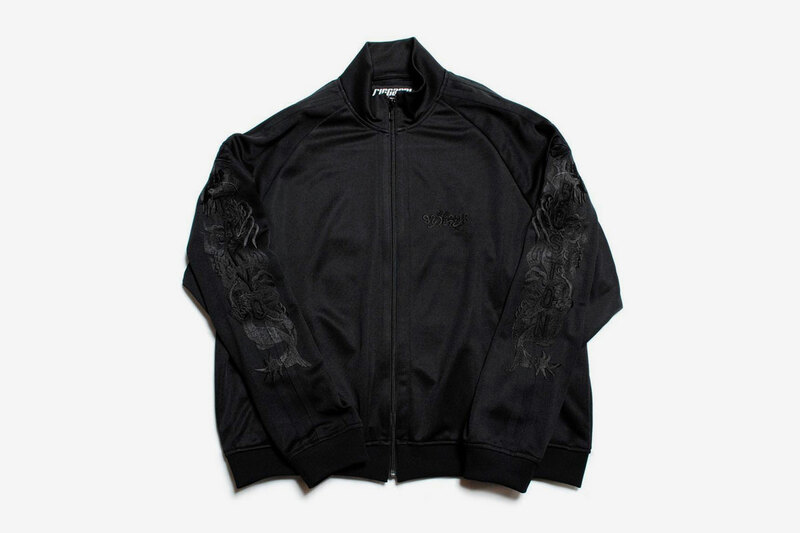 Leading the collab is an all-black take on Doublet’s signature Chaos Embroidery Tracksuit. The sleeves and rear of the jacket feature dense sections of embroidered text and figures marked by “Riccardi Boston” wording and mastermind’s iconic skull and crossbones logo. Accompanying the jacket is a matching pair of track pants and a crewneck sweater, which also come dressed with the same mélange of embroidery. Check out the mastermind JAPAN x Doublet collab above and look for the commemorative pieces to be available at Riccardi sometime in January. For more contemporary fashion, Raf Simons recently dropped a set of outlandish silver can keychains. Heading back to the Super Bowl LII champs. The latest from the UNDERCOVER collaborative offshoot. 2019 is going to be stacked with releases. Balenciaga’s ‘subtle flex’ signet ring.